More than 45 years were put into the Buick Le Sabre and it was known as one of the first best-selling GM cars. The earliest versions were passenger cars or station wagons to cater to the families of the 1950s. Much of the design and automotive development stayed the same through the 1960s and 1970s. GM changed the original V8 engine to the less fuel aggressive V6 3.8L to please drivers and government regulators. We have several variants of Buck Le Sabre car engines for sale that are ready to drop into your GM car. We stock used and rebuilt GM motors to satisfy all of our customers. The fifth, sixth and seventh generation 3.8L motors are the most common of what you will find online. Our car engines for sale cover this range of motors. Our engines all have low mileage and are sold in excellent condition. What makes us different is our Buick selection process of elimination. We only take engines that are already in great shape for our used engines and we rebuild a portion of these to sell as remanufactured. Since our customer base extends worldwide, we sell different engines to different people that are using them for a variety of uses. Standard engine swaps, engine replacements and project car drop-ins are a very common way to use our Buick engines for sale. You get a lot for your money at www.carenginesforsale.com. 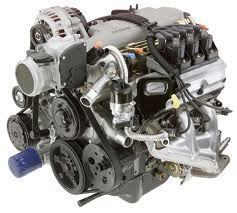 We make certain that all the engines that we buy are genuine and can accept OEM parts for the rebuilds. Our used engines are manually and computer tested to detect hidden damage that cannot be discovered by a driver. We use the information collected from this testing to form the basis of our sales. We sell our tested engines as used and use the reports that we get to start the remanufacturing. We pull off the parts that have wear and tear, fix any issues and put on genuine parts to give you the 3.8-liter engine quality that GM expects us to give. When each motor has been certified, it is moved into our warehouse for sale to our customers. Each time that we receive an order it is shipped immediately. Our shipping department staff are total expects when it comes to moving, crating and sending out engines each day. We load tractor-trailers up everyday with Buick engines that arrive quickly to customers. You’ll never find yourself waiting too long for our engines to get to your location. We have great prices, we are friendly and we are very committed to ensuring you always have a great experience when you buy Buick Le Sabre car engines for sale from our company. It’s simple to get your quote online. Give us some details, give us your email and your price shows up in your inbox. No waiting or no hassles. Our helpful experts are waiting by phone if you want to call instead. Dial 1-877-630-3873 and your call is instantly connected. We search our database, pull out our low price and tell you anything else you want to know about our 3.8L Buick engines. Get yours today.